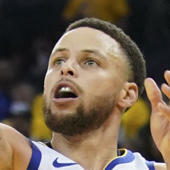 Iguodala (hamstring) has been upgraded to probable for Tuesday's game against the Jazz, Connor Letourneau of the San Francisco Chronicle reports. The veteran is expected to take the floor during the second-to-last game for the Warriors before the All-Star break. Since January, he's averaging 6.9 points, 4.8 rebounds, 3.9 assists and 1.1 steals in 24.5 minutes.